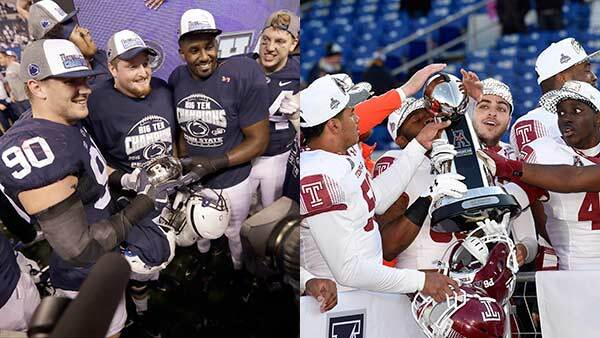 If you're thinking about heading to Annapolis for Temple University's bowl game or out to Pasadena to see Penn State in the Rose Bowl, there's a new warning about ticket scams. Pennsylvania's attorney general wants to make sure you don't get duped by con artists. Buy your tickets from a reputable seller, never wire-transfer money to someone you don't know, and consider using a credit card so you can dispute charges if needed. It's also smart to make sure the seat on your ticket corresponds with actual rows and sections in the stadium. Purchase tickets from a reputable seller. Never wire-transfer money to individuals you do not know. Make sure the location of your seats corresponds with actual seat numbers, rows and sections in the stadium. Understand the terms and conditions of the sale when purchasing tickets online or from ticket brokers. Consider using a credit card to pay for tickets (You can dispute charges on a credit card if the tickets are not delivered or turn out to be counterfeit). Pay particular attention to what the travel package does and does not offer (Do not assume that every package includes airfare, hotel accommodations and tickets to the game). Get all the offers, terms and conditions of your package in writing, including the cancellation policy, in the event that you are unable to make the trip. Research the hotel and its location. In some instances, consumers have been told that their hotel is within walking distance to the venue, when in reality it was too far to walk and required additional expenses to either rent a car or pay for other ground transportation. Do not use cash or wire-transfer money. Be wary of unknown and private sellers who refuse to provide you with verifiable contact information. Be cautious of travel packages that appear to be extremely cheap or extremely expensive.